For its season finale on May 17, "Saturday Night Live" brought back some of its former stars. The evening kicked off with the return of Maya Rudolph, who dusted off her Beyonce impression for a skit on the Jay Z/Solange elevator fight (you didn't think that "SNL" was going to let that opportunity slide, did you?). 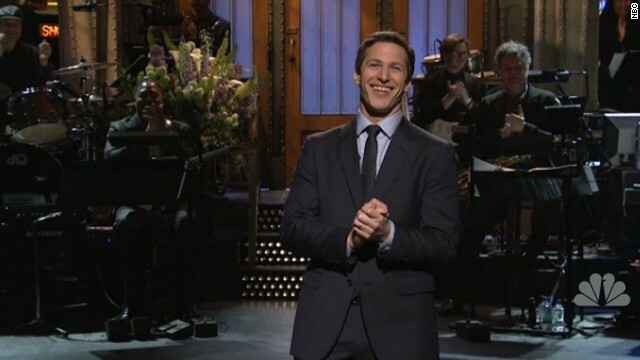 Andy Samberg was the host for the night, and kicked off a parade of "SNL" veterans. In his opening monologue he fully embraced the evening's nostalgic vibe, poking fun at his "SNL" track record - "I appeared in upwards of 100 digital shorts and six live sketches, so this is going to go great" - and reuniting with former "SNL" cast member Seth Meyers to beef up his impressions record. In the end, it was thwarted by a visiting Bill Hader.